Every time you eat or drink something you are either fighting disease or feeding it. Some foods are extremely dangerous to the human health. They are the cause of all ill health in the body. Here are some foods to eat in small quantities, some food to eat once in a while and 5 foods never to eat! Oil. – makes you fat! use oil spray. Or you can use 1 or 2 table spoons of oil depending on what you are cooking and the quantity of the food. Salt – Using or consuming too much salt can cause high blood pressure. Sprinkle it in small quantities. Cook without salt sometime. Sea salt is a better option. Excess carbohydrates. – Carbohydrates convert to sugar in the body. Foods extremely high in calories. Consuming more calories than you burn in a day leeds to weight gain and could escalate into obesity. Dried fruit. – has a lot of sugar concentration in it. Milk and dairy products – If you are lactose intolerant, dairy products will give you digestive problems. Low fat and fat free food – have so much artificial addictives in them. Foods cooked in non-stick pots. As you cook with it, the non-stick pot releases toxins into your food. Alcohol damages the whole body especially the brain and the liver. It also damages your emotions and character. Drink driving could lead to fatal accidents. Energy drinks contain high levels of caffeine. High level of caffeine in the body leads to bad effects on the body such as fast heart beats, nervousness irritability and insomnia. C – Carbonated or fizzy drinks – they make you hyper active and can make you get violent. They also cause diseases like diabetes, liver damage, heart disease and cancer. R – Rissole and every other deep fried food. 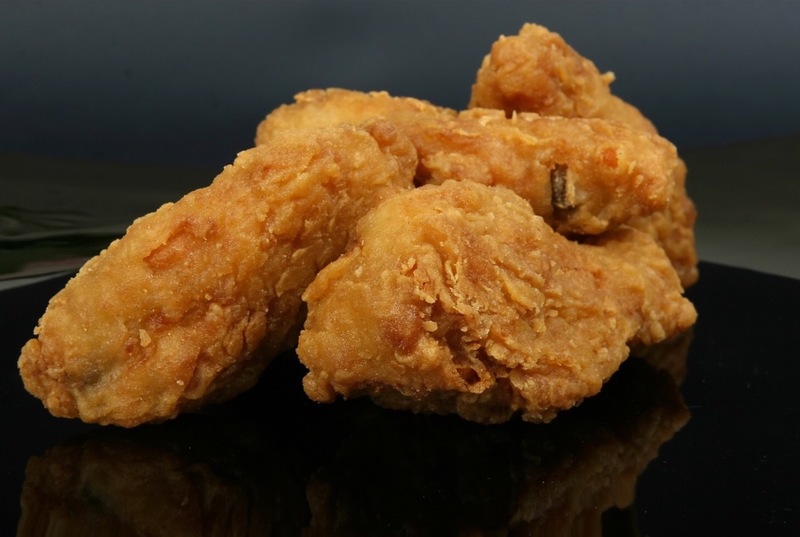 Deep fried food takes 8 times longer to digest in your body system. The oil then stores itself in the blood arteries building layers which lead to the worst diseases such as cancer, diabetes, obesity, heart attack, cholesterol, digestive problems and stroke. A – Aluminium, any food cooked in aluminium pots or aluminium foil. During cooking aluminium dissolves into your food then stores itself in your body and could lead to alzheimers in later years. 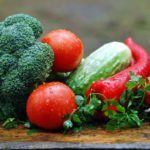 P – Processed food and processed meats – these foods may look great and taste great but they have gone through a lot of convertion from their natural state to where they are now. With every process food goes through nutrients are being stripped away from it. S – Sugar and anything with sugar in it – sugar is so bad for you, it acts like a drug in your body. It makes you age fast. It aids the growth of cancer. Causes obesity. How to start Avoiding them! 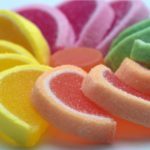 Sugar – Avoid sugar like a plague. Don’t eat it at all if you can. You can use fruit sugar or honey instead. Deep fried food – Bake your food in the oven instead of deep frying them. Boiling and grilling are much better than deep frying food. Have oven fries instead of deep fried fries. Oil – use oil spray, it reduces the quantity of oil you use. And you could just use 1 or 2 tablespoons of oil or no oil when you cook. Processed food – If you can, eat all your food fresh. And for cooked food, cook fresh food. It will do your body a lot of good health wise. Aluminium and non stick pots – Cook in the best cookware Saladmaster, it is made of titanium stainless steel and this does not react with your food. It also cooks at 86 degrees centigrade, keeping original nutrients locked into food. 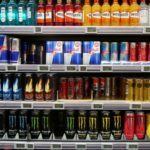 Carbonated fizzy drinks – just don’t buy them and stop drinking them! 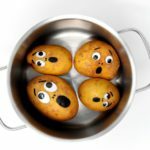 Carbohydrates – To reduce the starch in carbohydrates destarch foods that are heavy on starch some before cooking them, and some while cooking them. Foods like potatoes, yam and rice. For raw foods like yam and potatoe, slice them into thin slices and rinse with cold water before cooking. For dry food like rice, pour some boiled water on it mix the water will become startchy. Pour the starchy water out and rinse rice before cooking. Milk and dairy products – Soya milk, Almond milk and coconut milk can be consumed instead of dairy products. Start eating some food in small quantities, some food once in a while and start avoiding the above 5 foods then watch your body flourish in good health. Also, do at least 30 minutes exercise everyday. I would love to hear from you please leave a comment or question below. This article is about healthy food. It shows what types of food we should eat and what types of food we should avoid. This is a great article. 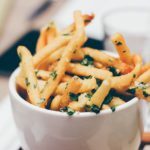 Everyone can learn so many things about food.I will share this article with my friends and family.Thank you for sharing this article with us. Thank you so much for an enlighting post, especially the information about the impact of Aluminium. I was not aware of ” during cooking aluminium dissolves into your food then stores itself in your body and could lead to alzheimers in later years.”. This is an extremley important point which I will take on board. With regards to processed food, I do avail of them, but that is due to time constraints of family and work life. I think that will apply to a lot of your readers. Thank you so much for your comment Dave! Avoiding certain foods is just as important as eating the right foods. I totally agree with this and also think exercise is key to a healthy lifestyle. I already knew most of the food you recommend avoiding or limiting, but I’ve never heard that cooking with aluminum is unhealthy. I frequently line the bottom of my ovenware with aluminum foil because it makes clean-up easier (especially with foods like baked chicken that tend to stick to the baking dish. Are you saying that I shouldn’t be doing this? Also, you mention this as an African diet and it seems like a good diet plan for everyone. Maybe I’m missing something but could you please explain? Hi Erica, lining your oven with foil is ok. Wrapping food like fish in foil to bake is very dangerous. African diet is very rich in the necessary nutrients for the body. Juliet great site I didn’t read thru it all but what I did read was very interesting. I had to laugh when i saw your name cause many years ago when i sold Real Estate a couple I sold a house to was Romeo and Juliet, so you brought back that memory ha ha .Juliet is a pretty name ! Boy you are not kidding when you mention the bad foods we eat , Queen Elizabeth and her family only eat organic foods. Aluminum pots and pans yuk my mother cooked with them cause they were lighter but the last 12 years of her life she had very little memory ! Water in our taps are injected with chlorine and we shower with it which is also not good I have a filter on my shower and drinking water ! I have read about African food in the past and how much healthier it is for us . It’s so nice to get another perspective of healthy eating , i plan to read thru your entire site and bookmark it for future reading. I have been a bit of a health nut since I was 19 years old and I am now 68 years old and in good health ! A lot if my friends my age have died of cancer years ago and some are battling cancer and heart problems, just bad lifestyles. Great site keep up the awesome work !!! The post started with a picture that really delicious. It makes me hungry. :p Anyway, it’s undoubtedly a useful post. Some of it was already known; heard something new. It is first to know that cooking in aluminum containers is not healthy. But I think, there will be no vital problem with rice, what will happen actually? However, I’m very happy to read the excellent article on health matter. Thanks to the author for the helpful post to increase awareness. Thanks R, anything cooked in aluminium is bad including rice. Eating food as become compulsory for every leaving soul, however one needs to be careful of what it takes it or comsume. From this article I have learned alot about what I consume and what not to comsume. The article has taught me alot. One needs to be careful . Considering what not to consume the acronym CRAPS said it all. Great article. Nice job. Thank you so much for providing this wonderful and life-saving information. This is a site we all need to spend time on eating up this great content.I can’t wait to read more of what you have here.Eating properly is so very important if we want to give ourselves a better chance of survival.Some foods are extremely dangerous to the human health. They are the cause of all ill health in the body. Some foods to eat in small quantities, some food to eat once in a while and 5 foods never to eat.Thanks for the post. Thanks for your nice comment Tracy, I appreciate it. Thanks for sharing this article. I must commend your effort in putting this article together to share with us. This is really an informative article and for real I have learnt something valuable and important today on food I must not eat. I agree with you that some food we eat pose danger to our good health especially sugary food that give threat of diabetes. I will use this article as a guide in watching what I eat to maintain a good health. Thanks for sharing this article. Great job! Really good article. While I knew that Aluminium was not good, I had never thought about the effects on our food. I used to make little pocket meals (fish, meat and veg, with a little salt, pepper and water) cooked in the oven. Made really good meals, but I never thought about the foil I used as dissolving it my food. Any advice on detoxing it? Thanks for coming by Dave. The only way to avoid harm from aluminium is to stop using it. Thank you so much for providing this wonderful and life-saving information. This is a site we all need to spend time on – “eating” up this great content. I can’t wait to read more of what you have here. Eating properly is so very important if we want to give ourselves a better chance of survival. I am fairly aware of the hazards such as sugar, salt, fizzy drinks, excess oil, yet we sometimes give in under the guise of treating ourselves when we are out at (fast-food diners) and too lazy or careless to abstain. The best way to “treat” ourselves is to take care of ourselves. I will certainly bookmark this site as a point of reference for healthier living. Thanks David, your comment is very encouraging and appreciated.